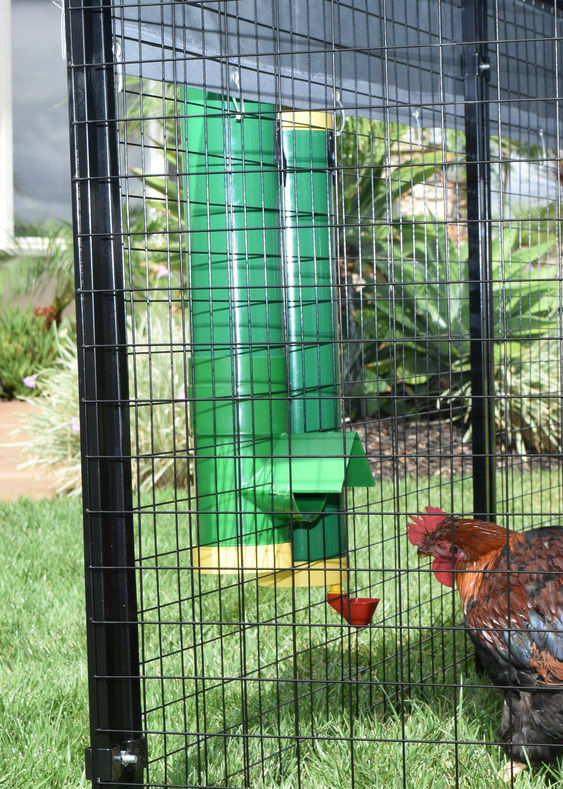 High End Hen Feeder and Waters by Rugged Ranch easily attach to almost any type of wire pen for outside use. Includes brackets to attach to the wall inside the coop as well. Attaches either inside or outside for easier filling. Keep your feed dry and you water clean and accessible. Feeder will hold 10 pounds of feed. 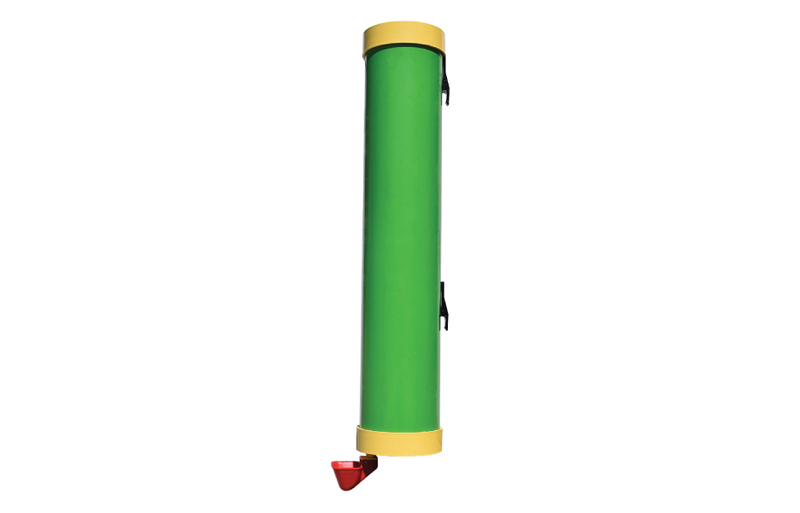 Waterer will hold 2 gallons of water. 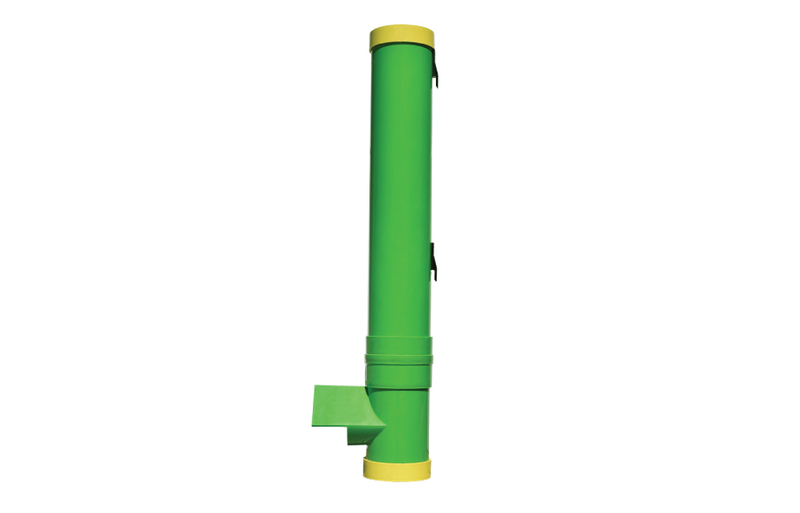 Yes, the High End Feeder and Waterer would be fine for turkeys as well to use. Thank you for your email!